Sam Winsor was born in Jacksonville, FL on January 9, 1993. Sam grew up as the oldest of six brothers and attended Mercer University on a 4-year Army ROTC scholarship. 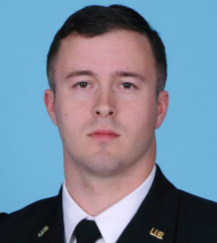 He graduated from Mercer with a BBA in Accounting in May 2015 and commissioned as an active-duty Ordnance Officer. Sam served in the 82nd Airborne Division for three years, serving as a Maintenance Control Officer, Distribution Platoon Leader, Executive Officer, and Battalion S4. Sam has been accepted to the Darden Graduate School of Business at the University of Virginia and intends to enter management consulting after graduation.